This post was originally posted on Wearable World News and can be found here. It seems like every day we’re hearing about new ways to strap sensors and chips to our bodies. As sensors and chips become smaller and cheaper, we’ll continue to see more and more types of wearables emerge. Let’s round up six of the wackier wearables either on—or coming soon to—the market. Trying to bring your dreams to the next level? How about strapping on the Aurora Dream Enhancing Headband, developed by iWinks. This headband works by triggering particular lighting and sounds during REM sleep to enable audio/visually-stimulated lucid dreaming. 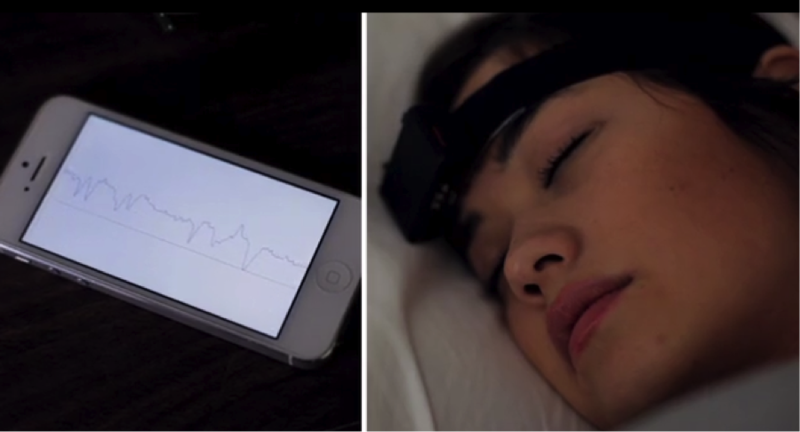 It also connected with users’ smartphones via an app which tracks sleep quality and depth. Still in development, the dream-enhancing headband, which plans to ship in June, 2014, will retail for $199. Check out the video here. The thing about wearing a diaper is that someone is usually responsible for monitoring its… contents. 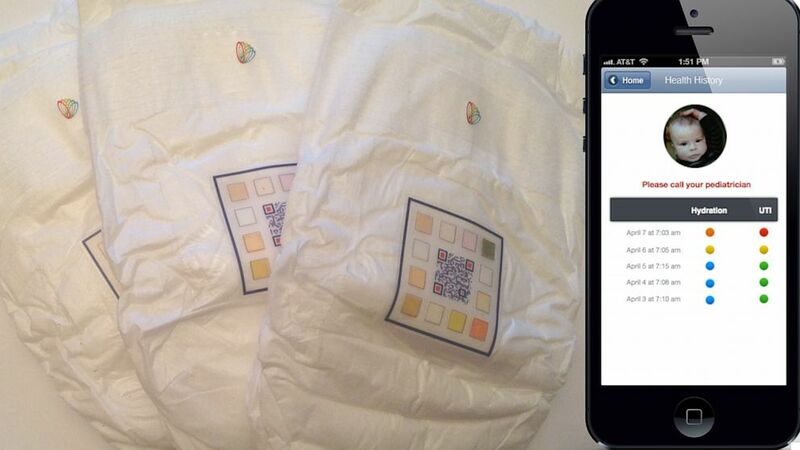 Pixie Scientific set out to solve this problem by creating the ‘smart diaper, equipped with a color-changing QR code on each diaper which indicates various ‘events.’ They are designed to measure and report to parents in real-time on data supporting health for babies and elderly: from hydration to triggers for UTIs to… when it’s time for a diaper change. Parents and nurses can access a smartphone app which displays biometric levels, events, and can even contact the doctor with the results as needed. While not yet available to the public, the diapers are being piloted at numerous assisted living facilities and in partnership with the UCSF Benioff Children’s Hospital. Reebok recently showcased its dip into the wearable world with Reebok Checklight. 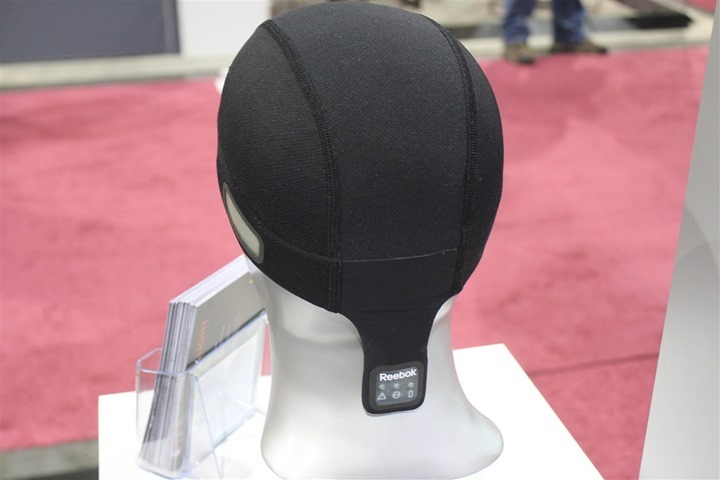 This is basically a small device to be tucked into a skullrag designed to sit under a helmet to track impact in contact sports. The cloth is equipped with various types of motion sensors like tri-axial accelerometers and gyroscopes that measure the intensity and direction of the impact. It then displays a red, yellow, or green light to alert players, trainers, etc. whether it is safe to continue playing for risk of concussion. Ok, so shirts aren’t that weird, but how about a shirt that manages moisture (sweat) performance, activates blood circulation, and is treated with anti-microbial treatment to prevent odor-causing bacteria? A company called OMSignal (one of a numerous emerging ‘smart clothing’ start-ups) is working on the ultimate shirt for athletes, adding more to the experience than biometric tracking. And incase you were wondering, yes it’s machine-washable. One of the great benefits of wearable technology is efficiency. 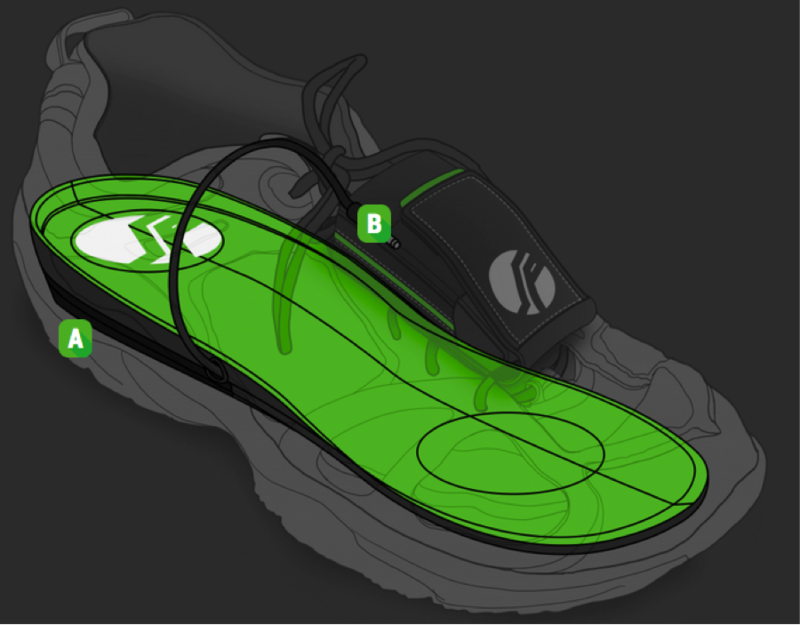 A new start-up called Solepower has figured out how to leverage your footsteps for energy production through removable inserts and lace-attached hardware. The wearer’s gait (steps) converts energy from the movement [of walking or running] into rotational energy that spins tiny magnetic rotors that create an electrical current within its wire coils. The electricity then travels through a cable and into an external lithium-ion polymer battery pack secured to the shoelaces. Today, the vision promises a 15-mile walk can charge a smartphone, although Solepower’s team is working on reducing this to 5 miles. The music industry has been wildly disrupted by technology… and there’s likely much more to come. But some musicians, like singer-songwriter Imogen Heap, are taking matters into their own hands, literally. 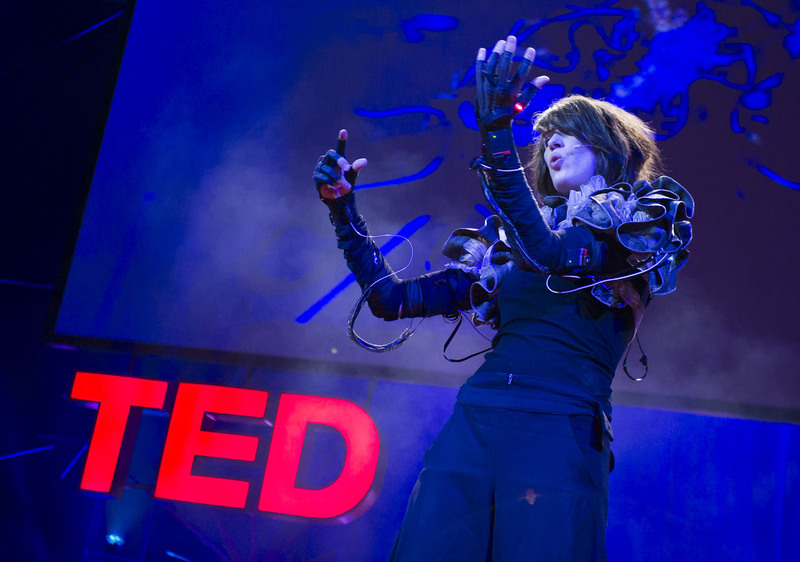 Heap and her team have developed The Gloves: and experiment in gestural music. These gloves are the culmination of years of development, combining motion data-capture systems, gestural vocabulary, and interfaces to parameter functions enabling musicians to create music with their gestures. While only available publically as a DIY kit, these gloves were just way too incredible to exclude from this list. Check out the video here. Wait, Would I Actually Use That? The degree to which any of these ‘wearables’ will be adopted will depend on what value they generate for users, and how wide those user bases can grow. As manufacturers open up APIs to these devices, the market’s ability to create value will grow in tandem. This intersection of hardware, software, fashion, and utility may well define unprecedented self-awareness and that of the world around us.